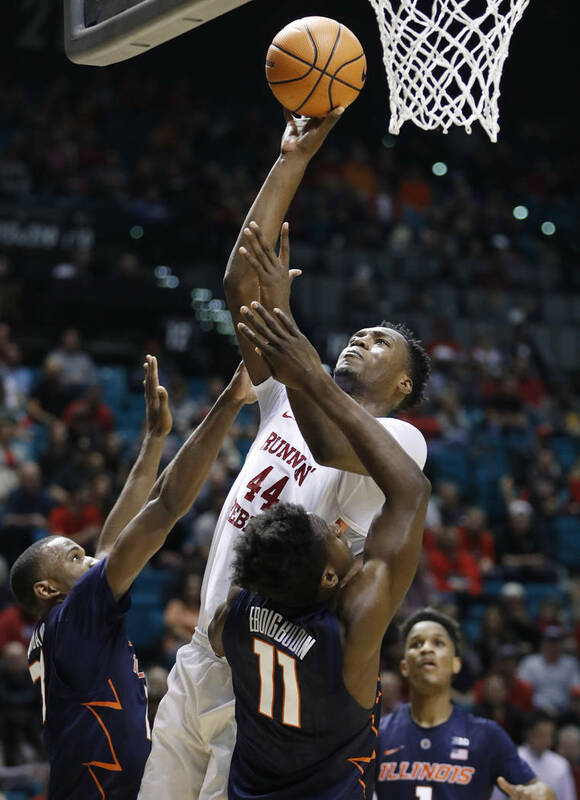 Jovan Mooring scored 27 points and Brandon McCoy had 22 points and 10 rebounds as UNLV defeated Illinois 89-82 Saturday night at the MGM Grand Garden Arena. 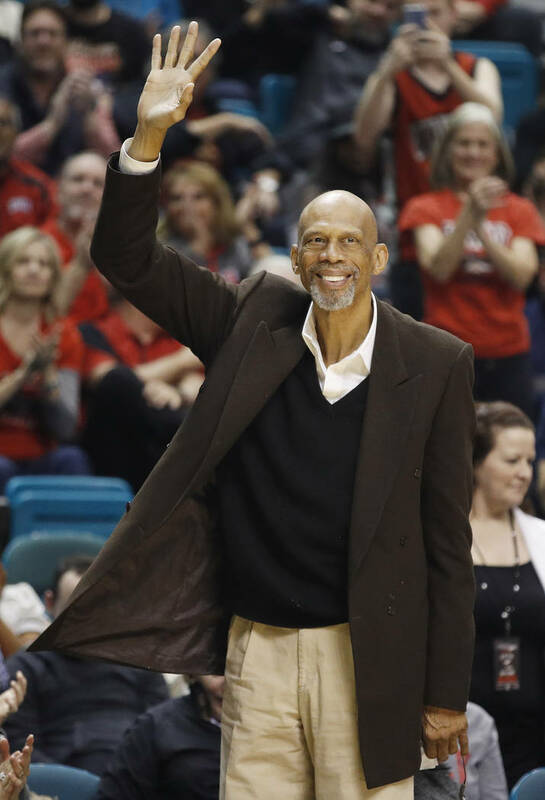 UNLV’s overtime losses at Northern Iowa and against Arizona were tough emotionally, but intellectually were important lessons. 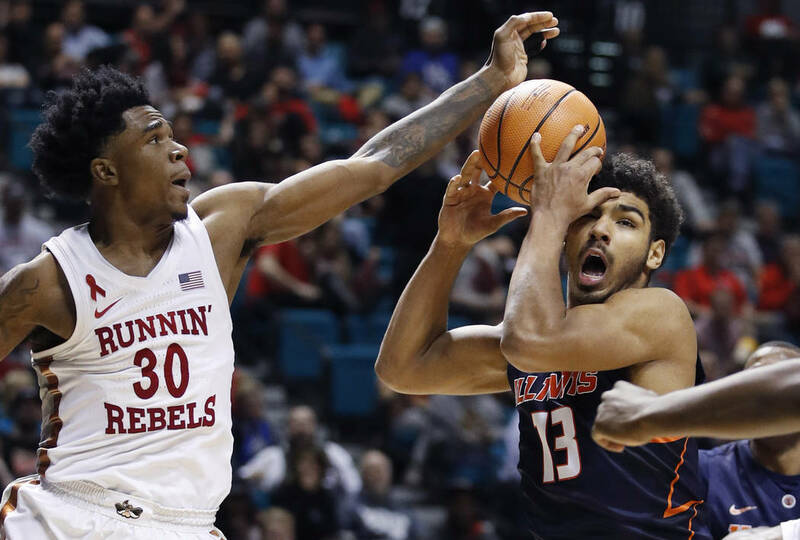 They were lessons learned for the Rebels, who applied the difficulties of the final minutes of those defeats to the end of Saturday night’s game against Illinois. 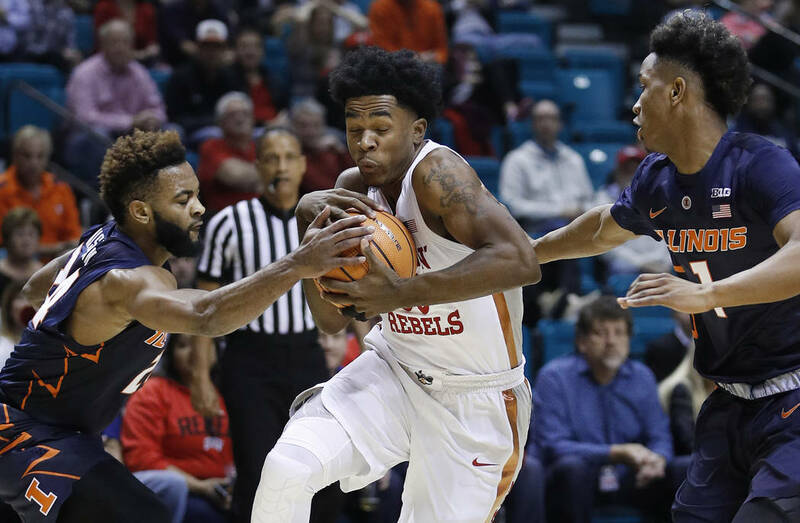 The Rebels made their final six shots and used a late seven-point run to take control en route to an 89-82 victory at the MGM Grand Garden Arena. 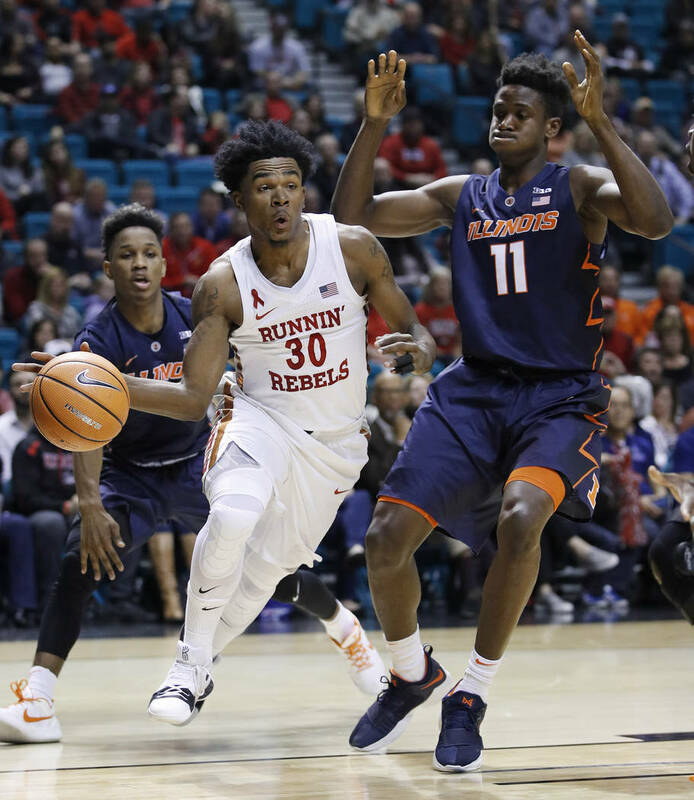 Jovan Mooring, who led UNLV with 27 points, said the two losses helped the Rebels (8-2) make the key plays down the stretch against Illinois (7-4). 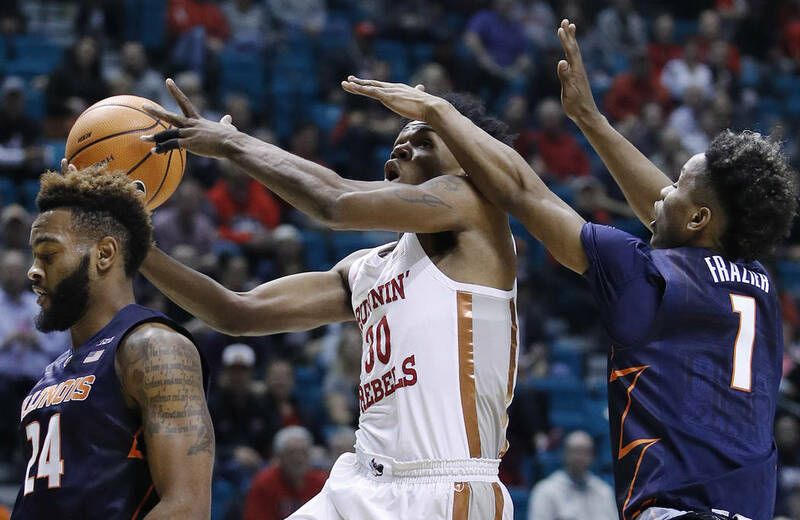 The Rebels took advantage of a massive foul discrepancy. 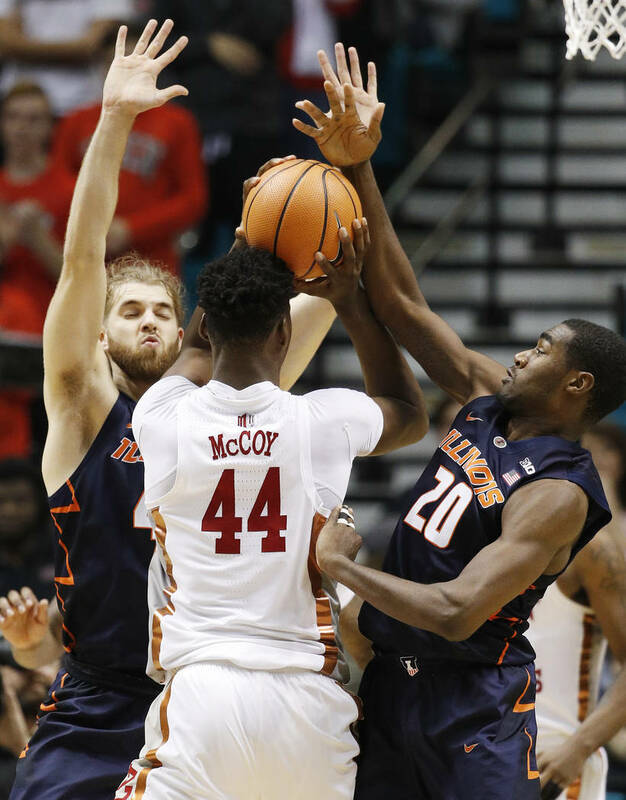 Illinois was called for 36 fouls, two players fouled out and five others picked up four fouls. UNLV committed 18 fouls, and only Shakur Juiston with four was in serious danger of fouling out. 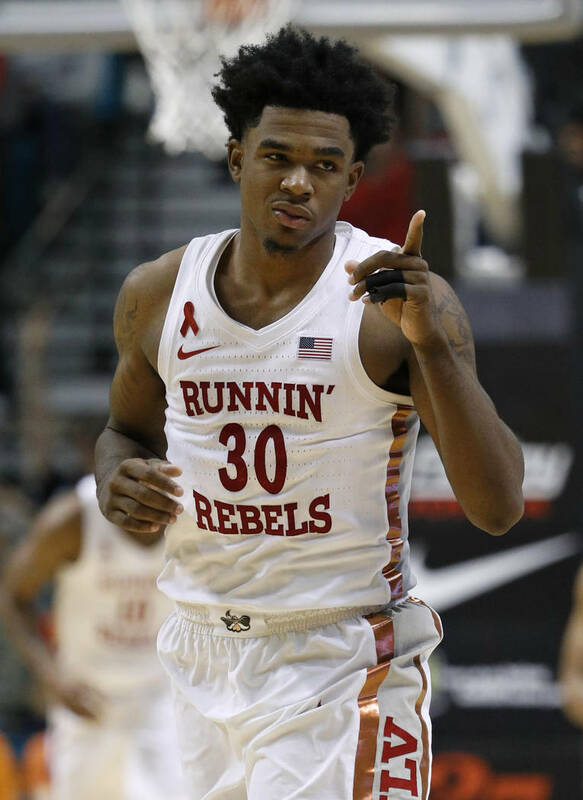 But UNLV also was the more aggressive team, especially as the Rebels saw how the game was being called. 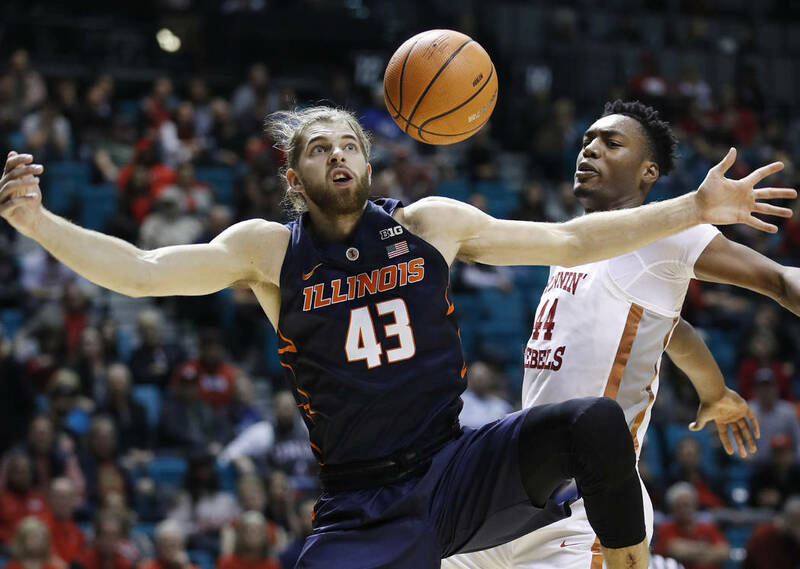 They made 33 of 48 free throws compared with 11 of 15 for the Fighting Illini. Even with the difference in free throws, Illinois stayed close throughout. 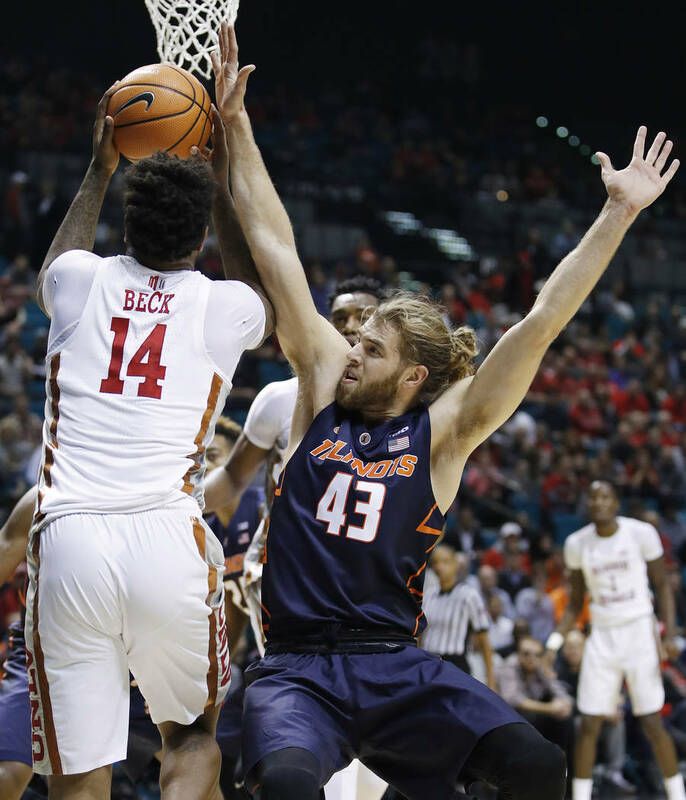 But every time the Illini went on any kind of run, UNLV answered right back. 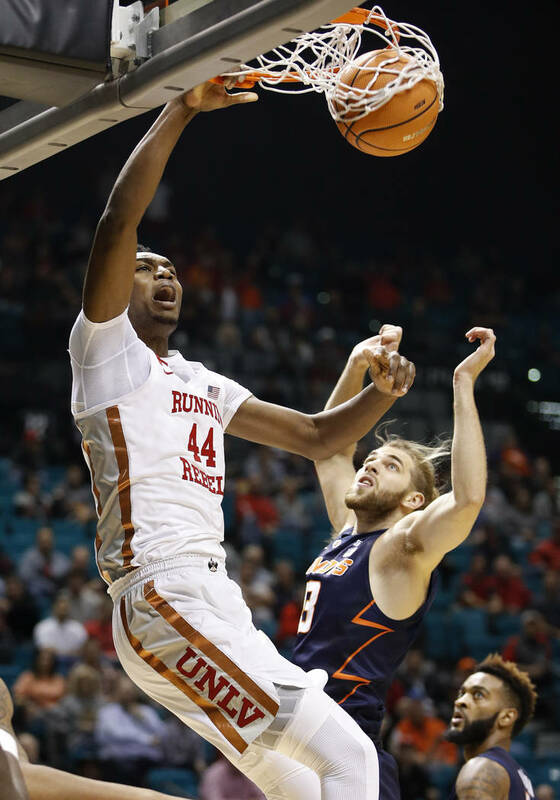 UNLV forward Brandon McCoy, who had 22 points and 10 rebounds, said the guards were the main reason. “Jordy (Jordan Johnson) and JoJo (Mooring) do a great job of controlling the pace and making sure everyone’s in the right position on defense as well as offense and making sure that we matched up,” McCoy said. 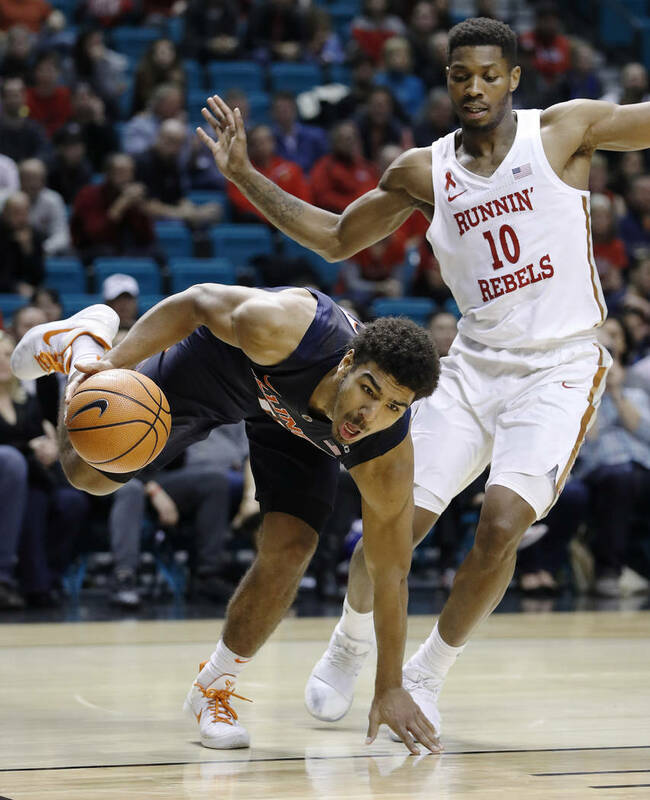 UNLV coach Marvin Menzies calls the final four minutes of games “winning time,” and the Rebels failed to respond properly in those back-to-back games against Northern Iowa on Nov. 29 and Arizona on Dec. 2. UNLV led late in both games, but failed to close out in regulation and eventually lost in overtime. 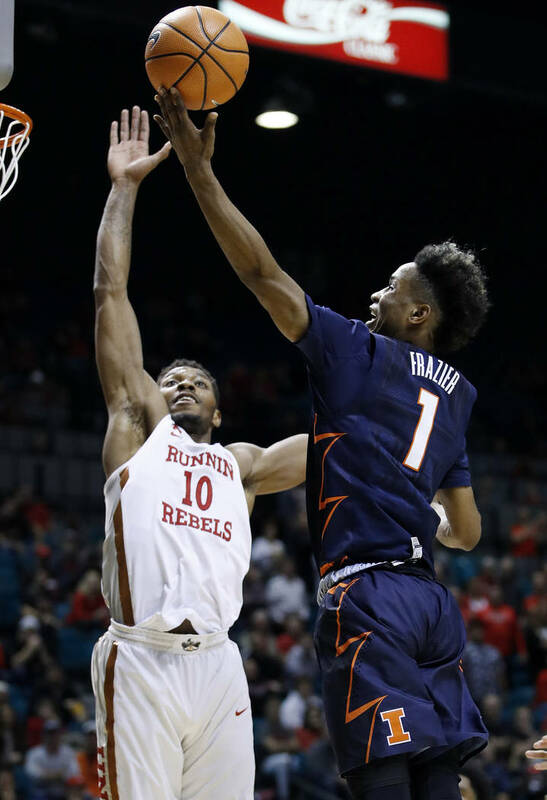 Against Illinois, the Rebels found themselves in another tight game, leading 73-71 with 3:21 remaining. — Mooring made a 3-pointer with 2:53 left. — Juiston stole the ball, passed to Amauri Hardy, who gave it back to him for an alley-oop dunk with 2:34 left. — Hardy drove and got fouled, then made both free throws with 2:09 to go. A 7-0 run in just more than a minute. The game wasn’t over, but the tone was set. This wouldn’t be another Northern Iowa or Arizona. Menzies said there is a formula he uses for the final minutes of games that if adhered to usually lead to victory. The Rebels stuck to that plan against Illinois.